CK Webb was born and raised in Mississippi, and dreamed of writing like the greats; Emily Bronte, Edgar Allen Poe, and Stephen King, to name a few. CK joined the US Navy and traveled the world, but eventually returned to settle down in the tiny town of Millport, Alabama. A self-proclaimed ‘reformed bad girl’, this thirty-something writer now shares her life with her husband and two beautiful children. 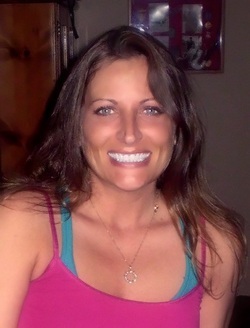 CK also enjoys spending time with her friends, family, and book club. Although CK delights in preying on the fears of others and enjoys killing people…thankfully she does it the legal way; in her novels. She has just completed the first two novels in the 'Innocents' series which she co-wrote with her best-friend and mother, DJ Weaver. CK writes in a variety of other genres and also writes articles and book reviews for Suspense Magazine. DJ Weaver originally hails from Pascagoula Mississippi, but relocated to north Mississippi in 1980. She took courses at Mississippi University for Woman and Mississippi State University, studying paralegalism and Human Resources Management and has worked in the clerical field for twenty-five years. DJ, along with her daughter and best friend, CK Webb, recently completed the first two in the three-novel Innocents series. She also writes in a variety of other genres. When she isn‘t writing, DJ develops and maintains WebbWeaver Review blog, where she reviews books and interviews published authors regularly. 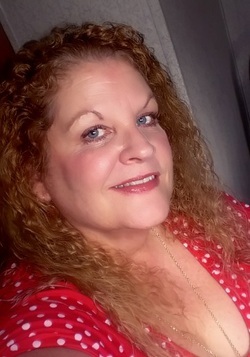 She serves as co-chairwoman of WebbWeaver Book Club and also writes book reviews for Suspense Magazine.DJ is a 50-something year old mother and grandmother who now works part-time and makes her home in Millport Alabama.